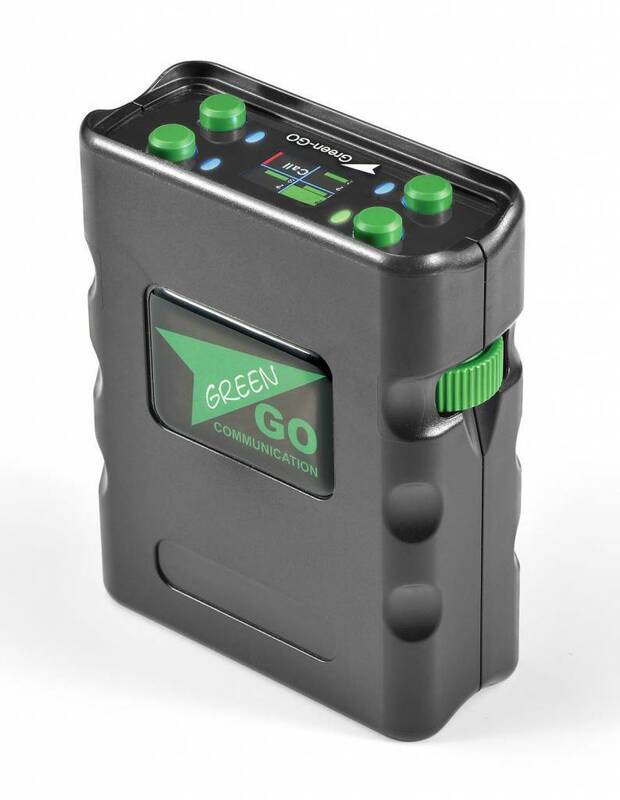 The Green-GO Beltpack X is part of the Green-GO communications system, an Ethernet network based digital intercom system. The Beltpack X can make use of 32 available channels, a program audio channel and an extra channel for direct user communication. This means users can talk to multiple groups or directly (and privately) to other users. The advantage of the Green-GO communications system is there is no central unit that carries the entire system. A central matrix or routing engine is not required ? you can easily scale up the network by adding more devices. Audio can easily be injected into the system and distributed to a group. The audio can be picked up by any device in the network. By pushing the encoders, the Beltpack X can answer the most recent audio source. The encoders can also be programmed to control various other functions, e.g. one encoder can be set up for level control while the other encoder controls channel selection. All matrix data is held within the device. 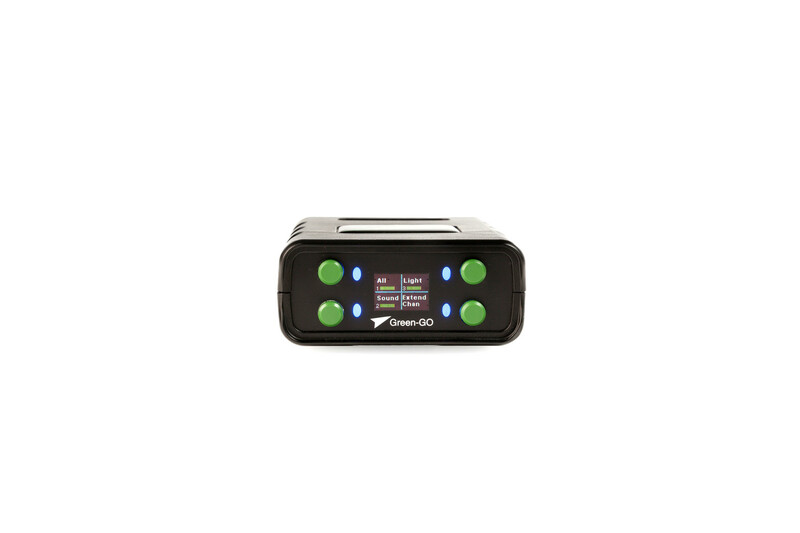 The Beltpack X is powered through a Power over Ethernet connector located on the back. 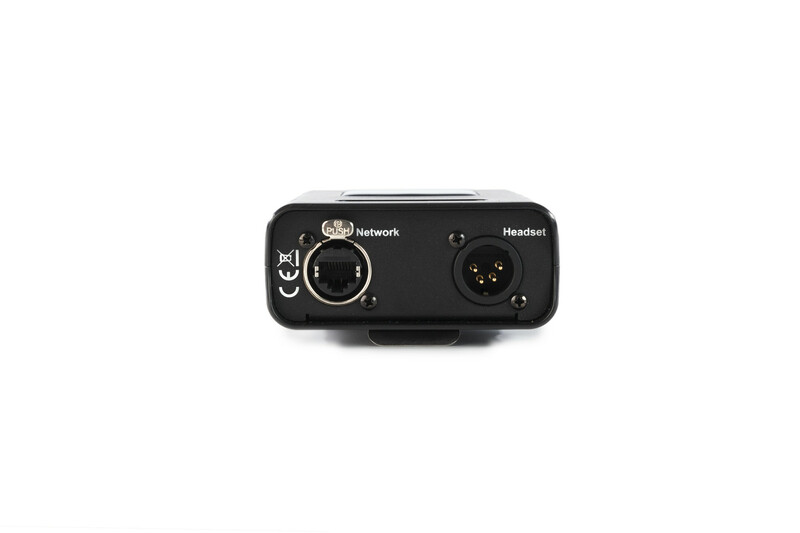 Also located on the back is a 4-pin XLR headset connector.